Jesus Baena, a 27-year-old white male, died Saturday, Oct. 27, after being shot in Cypress Park, according to Los Angeles County coroner's records. Ricky Jerome Wyatt, a 55-year-old black male, died Saturday, Oct. 21, after being shot in Cypress Park, according to Los Angeles County coroner's records. Christian Nino, a 22-year-old Latino, was fatally stabbed Sunday, Jan. 1, in the 2600 block of Jeffries Avenue in Cypress Park, according to Los Angeles County coroner's records. About 2:15 a.m., officers from the Los Angeles Police Department responded to a call of a stabbing, according to an LAPD news release. When officers arrived, they encountered paramedics who were treating Nino, who was pronounced dead at the scene. Police believe Nino got into a fight with three other Latinos and was stabbed, according to the news release. The others, described as being 18 to 20 years old, were last seen running northbound on Jeffries Avenue to West Avenue 28. Anyone with information is asked to call Northeast Division homicide detectives at (323) 561-3421. Those who wish to remain anonymous can call Crime Stoppers at (800) 222-8477. Daniel Joseph Canal, a 20-year-old Latino male, died Thursday, April 30, after being shot in Cypress Park, according to Los Angeles County coroner's records. Jorge Trejo, a 34-year-old Latino, was shot by Los Angeles police Sunday, Nov. 9, in the 3200 block of Huron Street in Cypress Park, according to Los Angeles County coroner’s records. Shortly before midnight on Nov. 8, LAPD officers saw Trejo driving a blue Mazda pickup truck near West Avenue 26 and North Figueroa Street, according to a news release from the Los Angeles Police Department. Officers tried to stop Trejo, a suspect in an Oct. 30 assault with a deadly weapon case, and a pursuit began. During the pursuit, which authorities said was "slow-speed," Trejo stopped at at least three locations and pointed a sawed-off shotgun at police. The first shooting occurred at West Avenue 26 and Lacy Street. The second occurred at Griffin Avenue and East Avenue 31. The third shooting occurred at Daly Street and Darwin Avenue, police said. Posted July 20, 2013, 3:49 a.m.
Alfred Lopez, a 32-year-old Latino, was fatally wounded Saturday, July 20, near Future Street and Cypress Avenue in Cypress Park, according to L.A. County coroner’s records. Lopez, 18-year-old Juan Carlos Martinez and another person were driving in a Ford Explorer around 3:30 a.m. when they were wounded by gunshots from another vehicle, according to a Los Angeles Police Department news release. The SUV continued for about half a mile before crashing into a parked boat on a trailer near Eagle Rock Boulevard and Verdugo Road, according to the release. Lopez and Martinez died at the scene 3:49 a.m., according to coroner’s records. Detectives are looking for a Latino in his 20s who is about 5-feet-6 and weighs 160 to 170 pounds. Police did not release information about the driver of the other vehicle, which the release described as a teal mid-size vehicle. Juan Carlos Martinez, an 18-year-old Latino, was fatally wounded Saturday, July 20, near Future Street and Cypress Avenue in Cypress Park, according to L.A. County coroner’s records. Martinez, 32-year-old Alfred Lopez and another person were driving in a Ford Explorer around 3:30 a.m. when they were wounded by gunshots from another vehicle, according to a Los Angeles Police Department news release. Martinez and Lopez died at the scene 3:49 a.m., according to coroner’s records. Henry Kaiwi, a 33-year-old Pacific Islander, was fatally shot on Tuesday, Nov. 27, in the 2600 block of Idell Street in Cypress Park, according to Los Angeles County coroner's records. Police responding to a 911 call at 8:05 a.m. discovered Kaiwi with a gunshot wound to the head, said Ed Winter, coroner’s spokesman. He was pronounced dead at the scene at 8:44 a.m. Witnesses reported a dispute between Kaiwi and a friend prior to his death, according to coroner’s reports. Anyone with information about the shooting is asked to contact the LAPD at (877) 275-5273. Tipsters wishing to remain anonymous can call Crime Stoppers at (800) 222-8477. Albert Magdaleno, identified by the coroner's office as a 22-year-old white man, was fatally shot Tuesday, March 27, in the 2900 block of Elm Street in Cypress Park, according to Los Angeles County coroner's records. Officers responded to a call regarding a shooting about 9:50 p.m. and found Magdaleno with several gunshot wounds, according to an LAPD news release. Paramedics were called, and the victim was taken to a hospital where he was later pronounced dead. Investigators said a motive for the shooting remains unknown. No arrests have been made in connection with the case. Anyone with information about the killing is asked to contact Northeast homicide Dets. J. Carrillo or U. Zesati at (323) 344-5744 or the Watch Commander at (323) 344-5701. Those wishing to remain anonymous can call Crime Stoppers at (800) 222-8477. Posted May 9, 2011, 5:08 p.m.
Jose Madera, identified by the coroner's office as a 19-year-old white man, was fatally shot Saturday, May 7, in the 2000 block of Isabel Street in Mount Washington, according to Los Angeles County coroner's records. Officers responded to a radio call reporting the shooting about 12:45 a.m. and found Madera and another 19-year-old man wounded, according to an Los Angeles Police Department news release. Madera was pronounced dead at the scene, police said. The second victim was taken to a hospital for treatment and is expected to survive. Authorities said the assailant(s) were last seen running away from the area in an unknown direction. The motive for the shooting appears to be gang-related, police said. Posted Sept. 29, 2010, 12:04 p.m.
Jose Martinez, a 24-year-old Latino, was fatally shot Saturday, Sept. 25, in the 2900 block of Division Street on the boundary of Cypress Park and Glassell Park, according to Los Angeles County coroner's records. Jose Martinez and his brother Samuel Martinez, a 20-year-old Latino, were killed about 12:50 a.m. Both were shot once in the head and died at the scene, according to coroner's records. Marvin Gonzalez, 19, also was shot and wounded and was in critical condition at a local hospital. The men were heading to a liquor store when they were approached by several suspects who asked about their gang affiliations. Apparently not satisfied with the answers, the suspects opened fire, said Sgt. Gregory Whortan of the Los Angeles Police Department's Northeast Division. Police said the victims were not gang members. Posted Sept. 29, 2010, 12:03 p.m.
Samuel Martinez, a 20-year-old Latino, was shot and killed Saturday, Sept. 25, in the 2900 block of Division Street on the boundary of Cypress Park and Glassell Park, according to Los Angeles County coroner's records. Martinez and his brother Jose, a 24-year-old Latino, were killed about 12:50 a.m. Both were shot in the head and died at the scene, according to coroner's records. Marvin Gonzalez, 19, also sustained a gunshot wound and was in critical condition at a local hospital. Posted April 26, 2010, 4:55 p.m.
Richard Chavez, a 33-year-old Latino, was shot and killed Sunday, April 25, in the 600 block of West Romulo Street in Cypress Park, according to Los Angeles County coroner's records. Ed Winter, spokesman for the coroner's office, said Chavez and another person were standing outdoors about 1 a.m. when someone fired at them from a vehicle that was driving by. Both Chavez and the other individual were wounded in the shooting. Chavez was taken to County-USC Medical Center where he died at 4:03 a.m., according to coroner's records. The other victim was taken to Huntington Memorial and later released from the hospital, said Det. P.J. Morris, who works in the LAPD's Northeast division. Investigators do not have any leads on the shooter or a description of the vehicle involved, Morris said. Bryant Kerwin Matute, a 34-year-old Latino male, died Saturday, July 11, after sustaining blunt force trauma in Cypress Park, according to Los Angeles County coroner's records. 1600 block of Pepper Ave.
Posted May 3, 2009, 2:44 p.m.
Victor Solis, a 24-year-old Latino, was shot Saturday, May 2, about 1:45 p.m. in the 1600 block of Pepper Avenue in Cypress Park, according to Los Angeles police. Solis was a passenger in a vehicle, and someone approached the car, officials said. "Words were exchanged and the suspect produced a handgun and opened fire," said Ed Winter, a spokesman for the coroner's office. Solis was taken to the hospital where he died Sunday, May 3, according to coroner's records. Update: On Monday, May 11, Los Angeles police arrested Joshua Ricardo Galindez, an 18-year old Latino, in connection with Solis' killing. 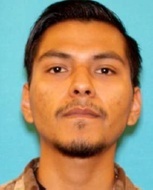 His arrest came a four days after police apprehended Adrian Martinez, a 21-year old Latino, also in connection with the shooting death of Solis.